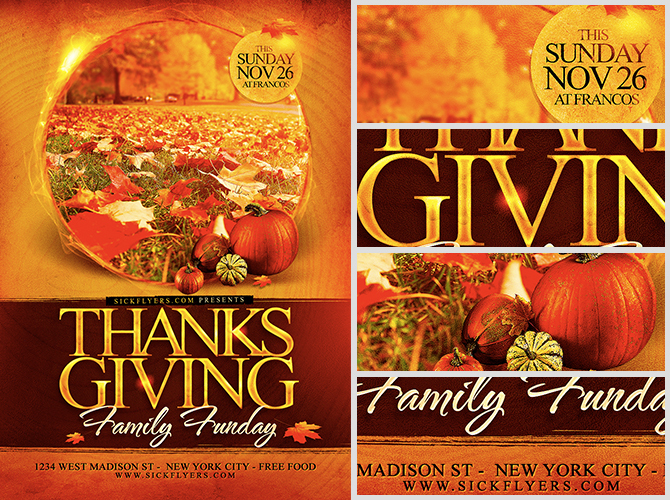 One of the most important family events on the American calendar: Thanksgiving. 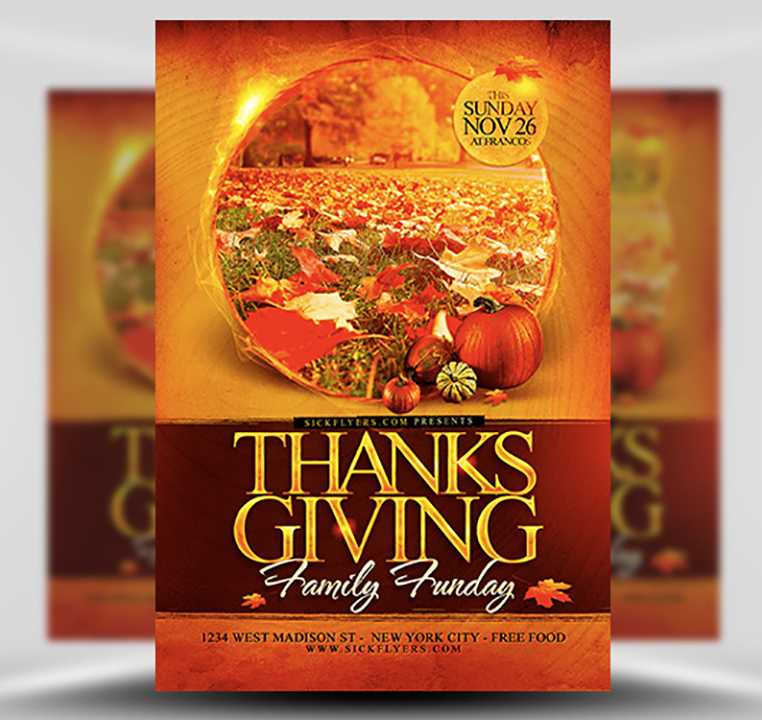 Thanksgiving is one of the few times of the year that many families can gather together as one around the dinner table and enjoy a meal together. 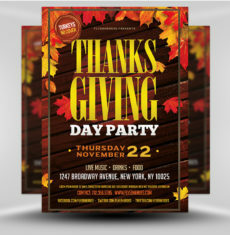 Thanksgiving is also a terrific time for local food businesses, such as restaurants, to invite their customers in to enjoy this special day without the hassle of cooking and cleaning themselves. 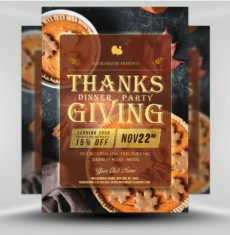 To help restaurants, bars and eateries promote their Thanksgiving events, our Thanksgiving templates are warm, inviting, soft and elegant – helping you promote your business to Thanksgiving customers in a classy and elegant way. 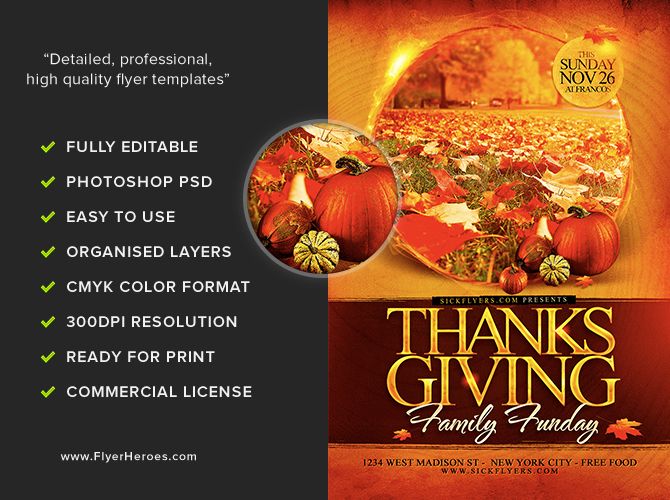 This Photoshop PSD Thanksgiving Flyer Template is ready to go. 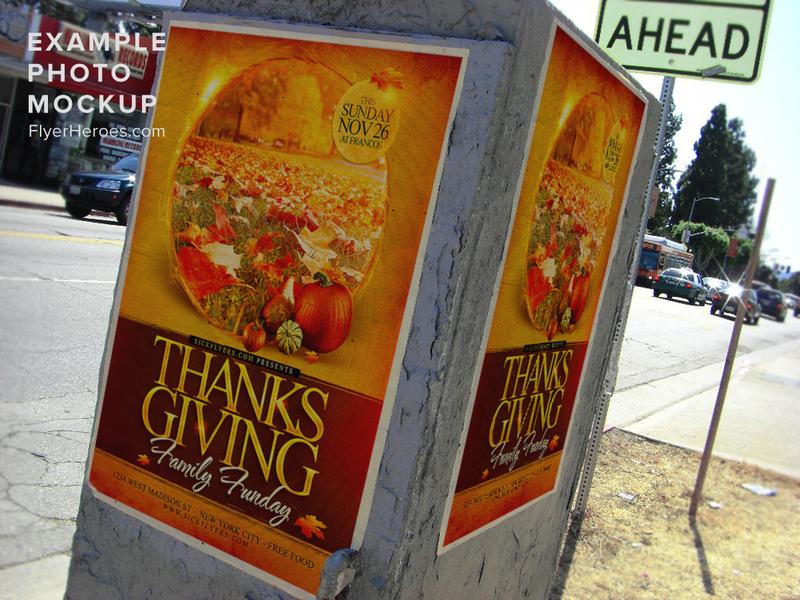 Customise the text in Photoshop, add your own logos and information then you’re ready to get it printed. 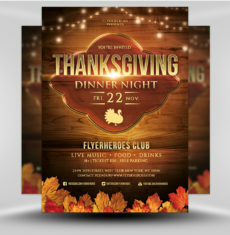 Thanksgiving Funday Flyer Template is a premium Photoshop PSD flyer / poster template designed by FlyerHeroes to be used with Photoshop CS4 and higher.